Thank you for the wonderful information! 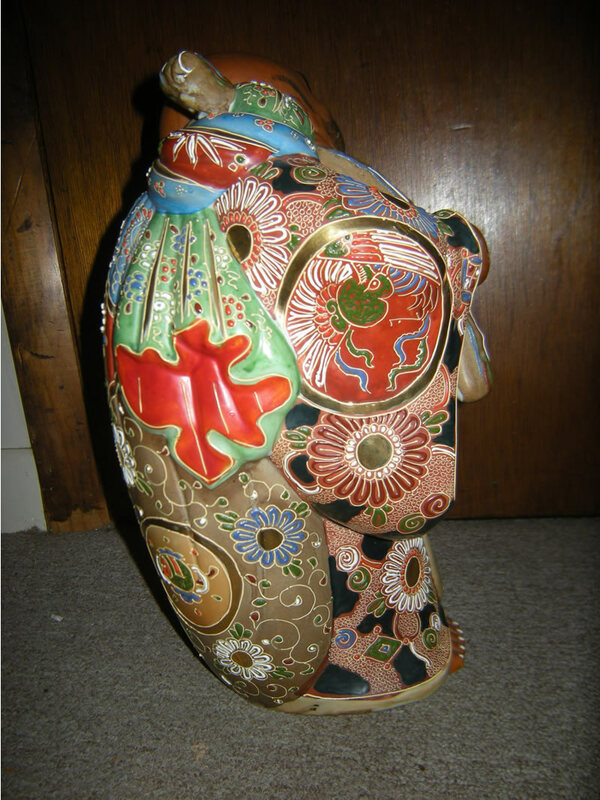 My wife and I are attending to her dad who is in hospice, and trying to figure out the value of items collected while he and his Japanese wife lived in Japan for 40 years. 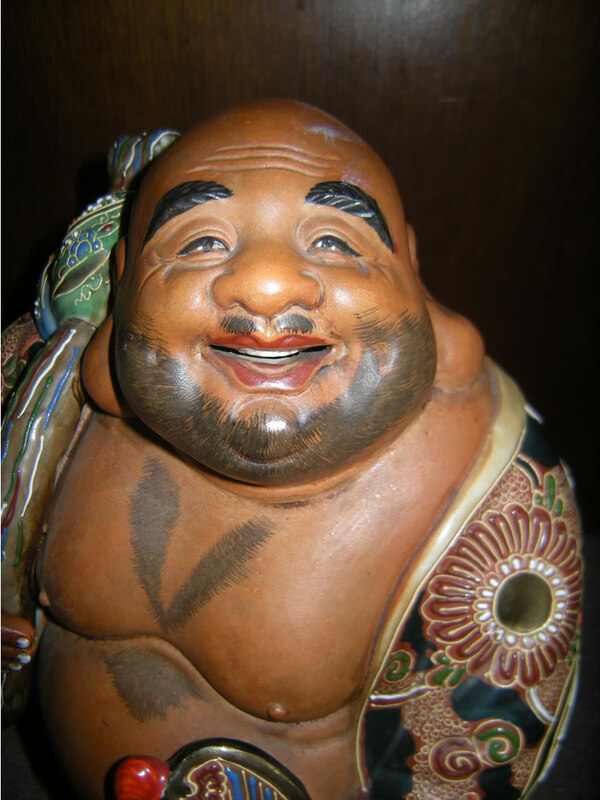 We have a large (20") Kutani Hotei statue, and thought it might be Kutani, but were not sure until looking at the info about yours. 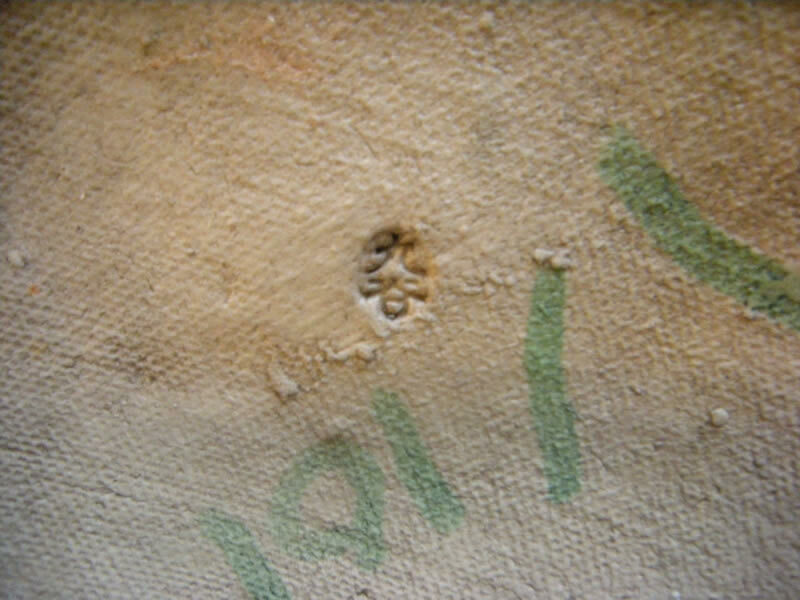 Very similar in appearance and the mark is the same. Haven't used any Japanese for so long I'm hoping it was correct? With all my respect. 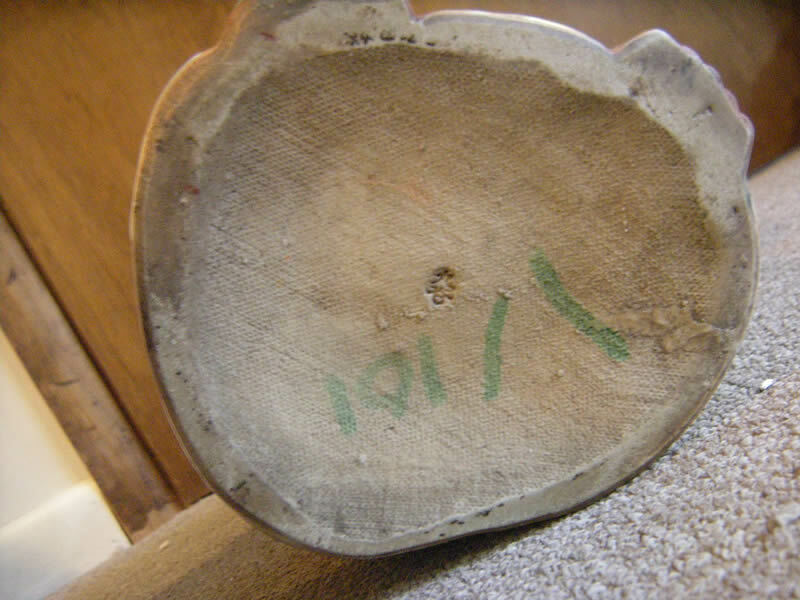 I was surfing along and your site caught my eye with Japanese marks so I thought I'd take a look! Very nice and informative! 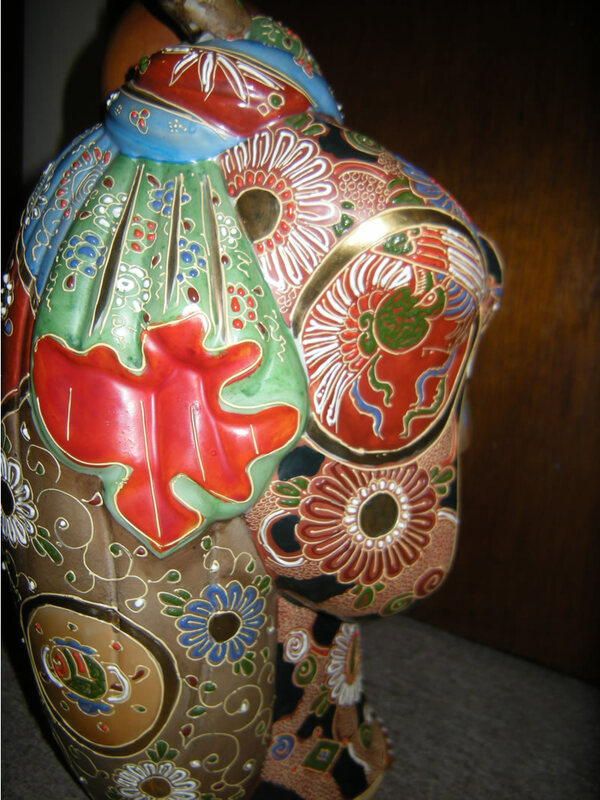 I also noticed your article of Hotei,also a fine piece, vibrant colors,and the detail especially the facial features. 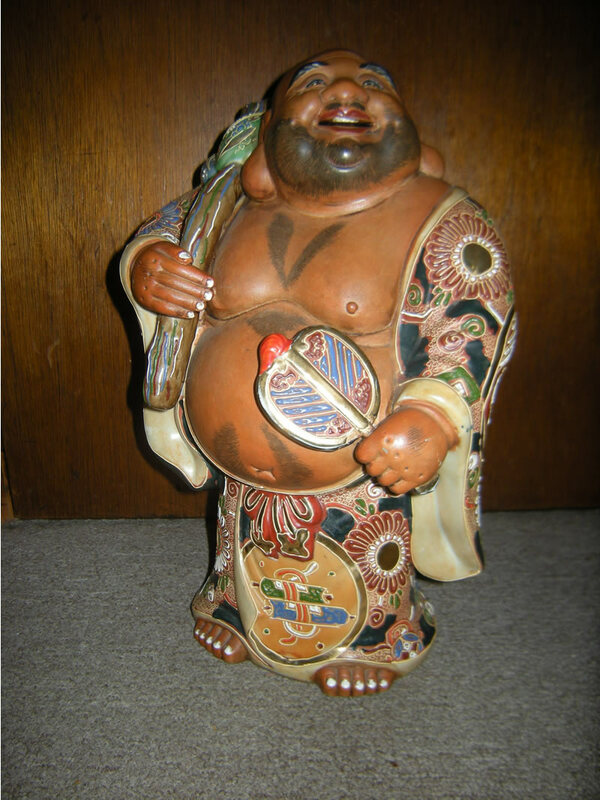 My Hotei is 11 1/2" tall has the "red Kutani mark" and like yours the facial detail is fantastic!! Would really like you to see it and would appreciate your valued opinion. 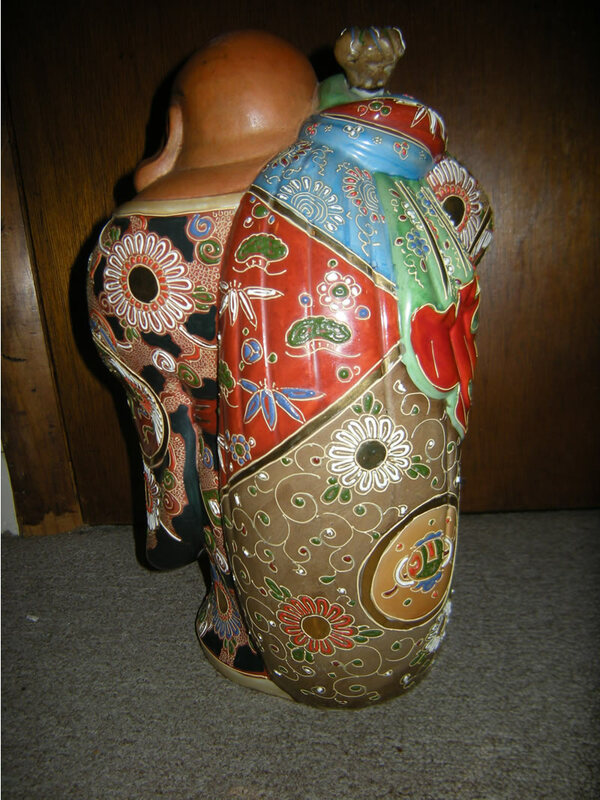 The provenance of my Hotei is my parents were in Japan in 1956-1958 where "The Little Big Man",as I called him was purchased. I just inherited him in 2014 after my mom's passing (she's happy :). 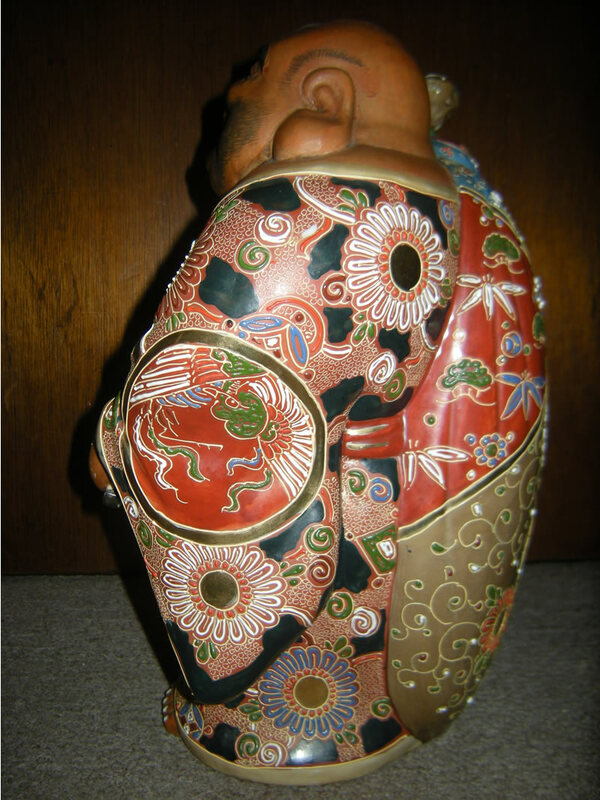 Lastly I also have a Karajishi Lion with paws on ball (male) with an incised mark I'm having difficulty finding. Have searched Gotheborg, Kutani Mark Web Site all great just didn't have my mark. Two symbols stacked within . an oval shape. 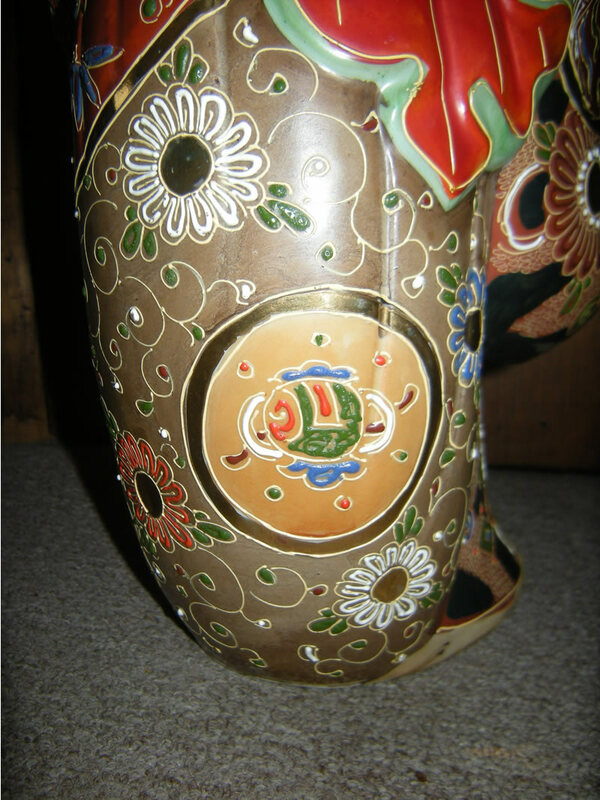 Kutani motif and colors probably Early Showa 1926-1935 maybe a little earlier not sure. Looking for some help figuring this one out.Care to take a crack at it? Shoot you probably already know what the heck am I thinkin'.LOL. In any case I'm at waverydr61@yahoo.com Kevin K. Japan 72'-77'. Thanks, Bye for now! !